Paul R. Orme – Of Counsel – Salmon, Lewis & Weldon P.L.C. Paul R. Orme’s practice focuses on representing special districts in water, electric power and utility law matters. 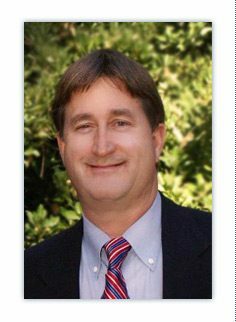 He serves as General Counsel to five special districts in Pinal County, Arizona. These include Central Arizona Irrigation and Drainage District, Maricopa – Stanfield Irrigation & Drainage District, New Magma Irrigation & Drainage District, and Electrical Districts Nos. 3 and 4 of Pinal County, Arizona. Paul has worked with most of these Districts for 30 years during which they have built their water and electricity delivery systems through the issuance of hundreds of millions of dollars of revenue and general obligation bonds. Regular appearances before the Central Arizona Project board of directors, the Arizona Water Banking Authority, the Arizona State Certification Board, the Bureau of Reclamation and the Arizona State Land Department on issues relating to the irrigation districts he represents. He has also appeared before the Arizona Corporation Commission and the Arizona Power Authority on behalf of his electrical district clients. Represented individual ranchers and farmers on water related matters as well as the Arizona Cattlegrowers Association and various towns and small municipal water districts in Yavapai County. Testified before Congress and the Arizona State Legislature on district related legislation. Served on the Arizona Water Protection Fund Commission for the first 6 years of its existence and on the Arizona Water Banking Study Commission. Presentation to the Summer meeting of the Arizona Cattlegrowers Association on Arizona Water issues. *Paul Orme, through Paul R. Orme, P.C., is an independent contractor of SLW.